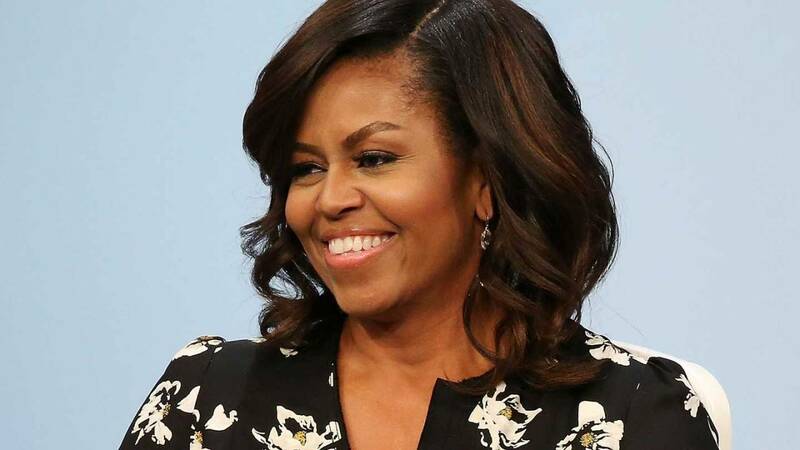 WASHINGTON - Michelle Obama says she felt "lost and alone" after suffering a miscarriage 20 years ago and underwent in vitro fertilization to conceive her two daughters. She also denounces Trump's yearslong "birther" campaign questioning her husband's citizenship, calling it bigoted and dangerous, "deliberately meant to stir up the wingnuts and kooks." Trump suggested Obama was not born in the U.S. but on foreign soil - his father was Kenyan. The former president was born in Hawaii. Mrs. Obama launches her promotional tour Tuesday not at a bookstore, but at Chicago's United Center, where tens of thousands of people have purchased tickets - from just under $30 to thousands of dollars - to attend the event moderated by Oprah Winfrey.